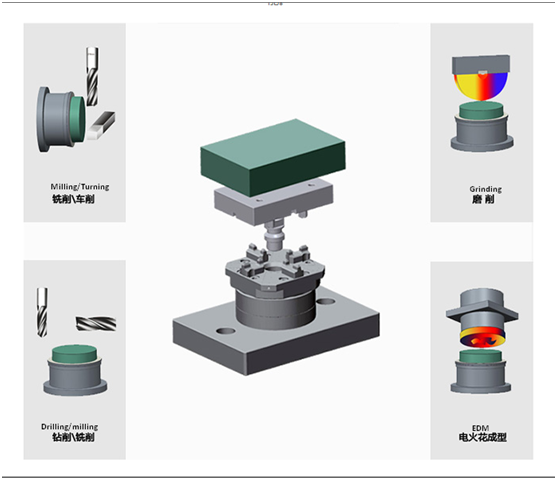 The ITS flexible positioning system of A-ONE’s fixture is a standardized fast clamping system. The concept originated in Europe. The workpiece or electrode along with the pallet enters the process of turning, milling, grinding, wire cutting, electric machining, etc. interface, so that the standard mechanical interface repeat positioning accuracy of 2 microns, and the clamping time takes only a few seconds .